In a medium saucepan, melt butter over low heat. Whisk in flour to form a roux. Whisk in milk, a little at a time, increase heat to medium-high, and cook until thickened, stirring constantly. Bring to a boil. Stir in beef and cayenne pepper. Heat through and serve over toast or biscuits. Hi Tracy! 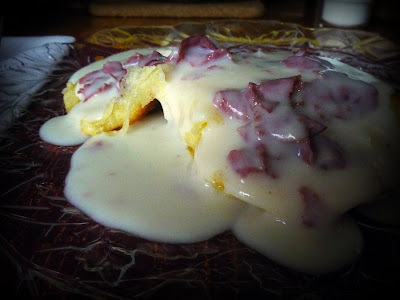 I love chipped beef - haven't had it in years. Where do you find the dried beef? My mom always used packages of beef lunch meat. Thanks!! Hello, Vicky! You can find the dried beef in jars in the grocery aisle alongside tuna, canned chicken, turkey, and ham, sardines, and other meats like that.